Though it aired recently, Magical Girl Raising Project seems poised and to be fade into the background and dismissed in most corners as derivative. It openly shares commonalities with popular works that even some mainstream audiences will be wise to. Viewers undeterred by the theme of this show’s surface elements, though, might just appreciate the tale’s individual strides in such areas as world building, storytelling, and characterisation. That’s ultimately where Magical Girl Raising Project thrives. Its structure is undeniably similar to other popular works, but it revels in toying with expectations both small and large. Gradually, it even becomes innovative in its own right. The driving concept obviously lacks the shock and awe factor of its contemporaries, but the writers clearly knew this and thus weaved the show’s opening minutes and overall synopsis around it by opening with a teaser for the bloody events that eventually transpire. Koyuki Himekawa, an innocent school girl who has always dreamed of becoming a magical girl, suddenly gets her big break. Whilst indulging her escapism via smartphone game one day, a cuddly creature offers her the chance to become a bonafide magical girl. In this world, said gals earn candy by performing good deeds ranging from helping old ladies up the stairs to burying waste. It’s a job of little prolonged glory since humans forget her existence, but that doesn’t stop Himekawa from wholeheartedly embracing her role. All is hunky-dory until the goal shifts to acquiring the most candy to avoid being eliminated from the pool of magical girls. A seemingly earnest system designed to spread goodwill rapidly loses its virtue. In order to maintain their supernatural statuses, alliances are formed, innocence is lost, and blood is shed. In the interest of acknowledging the inevitable comparisons, the ones that spring to mind are Madoka Magika and Battle Royale. 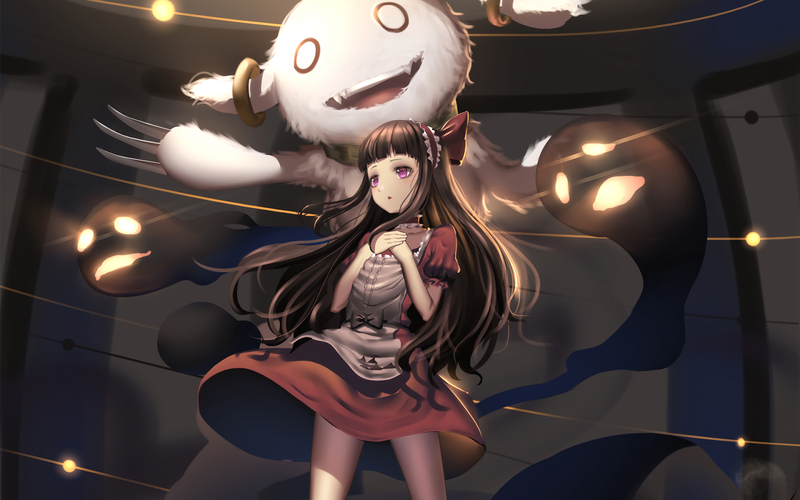 Magical Girl Raising Project adopts the base structure from the latter by placing its 16 magical girls in a death game and embraces the “magical girl lifestyle gone horribly wrong” of the former. There’s even a taste of Danganronpa in their midst. All of these tales are thematically similar in that youths are made to compete for their lives and ominous forces compel them to do so, but even so, this one is able to put a spin on things. What’s immediately striking about Magical Girl Raising Project is the setup. As mentioned earlier, magical girl candidates are bestowed powers via the mascot of a smartphone game. Apart from granting the show a more modern feel, this means literally anyone can obtain the fabled cutesy outfits and superpowers provided they meet the criteria. 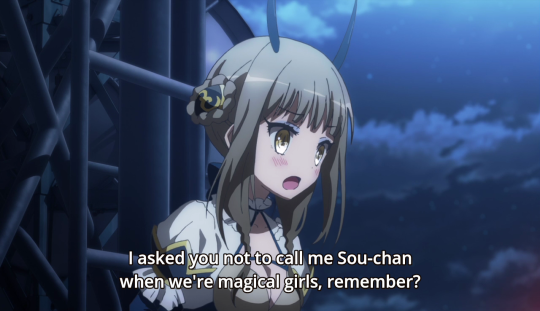 Whether they are aiming to be deconstructions of the subgenre or straightforward tales, magical girl shows tend to have casts that are primarily, well, girls. In Magical Girl Raising Project, though, you can be a NEET, a businesswoman, an alcoholic, or even a man. The sheer range of the cast goes on to becoming the driving force of the show. This would be just an aesthetic tweak if the narrative wasn’t perfectly woven around the interactions between the 16 diverse entities. Because each character is so very human, they’re also full of both faults and hidden merits. Knowing no magical girl is what they appear to be in their idealised form, the air of mystery surrounding each character makes every interaction meaningful. Granted, Magical Girl Raising Project's cast is too broad to truly delve into the psyche of every one of folks within the show's short running length (writing so many believable characters in twelve episodes is always going to be an uphill battle), but there are clever techniques employed to maximise their characterisation. One such trick is lumping several characters into cliques or pairs, allowing certain ones to interact in situations that showcase their personality without having to dive into each one. Another stylistic choice that actively elevates the narrative is the erratic placement of flashbacks. An awful lot of shows will simply toss out a character’s past and motivations when they are facing death or some substantial trial. Magical Girl Raising Project throws such tradition to the wolves; background information explaining one’s past and alter ego can crop up on a whim. Characters can be handed supposed death flags and prevail without it feeling illogical. This approach sounds a bit disjointed and chaotic, but it works wonders in developing 16 characters simultaneously while keeping the plot moving. Some characters clearly have deeper, more layered histories than others, which means their significance – and potential to die – is always up for debate. There’s a strong sense of mystery since the viewer doesn’t necessarily know which magical girl persona belongs to which human character’s story that is being told. Unlike other shows, Magical Girl Raising Project doesn’t overly indulge in the infatuation with magical girls. Those involved in the death game tend to be troubled souls and some are the furthest thing from innocent. These gals are avatars of real people undergoing various struggles. As with Madoka Magica, the juxtaposition of endearing artwork with tragic death is used to great effect here and this one ups the ante with some jarringly…”expressive” scenes. I’ll leave those to your imagination, though. Then you’ve got the show’s mascot, Monokuma-lite Fav. He’s a cutesy creature that functions as the agitator for many conflicts in the series, preying on the desires of others and manipulating them into serving his purposes. At the same time, it can be argued that he’s simply bringing their true feelings to the forefront. He’s another case where the show bit off more than it could chew in trying to give 16 characters meaningful backgrounds in a 12 episode series. The battles are actually quite competent in the context of seasonal anime, featuring well-choreographed exchanges of blows with palpable weight behind them. 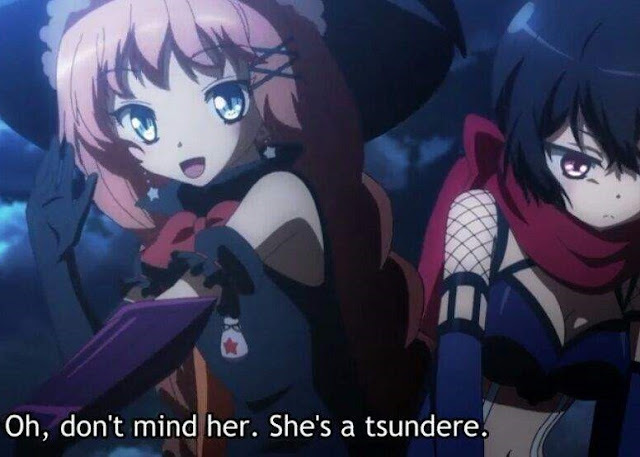 There’s an emphasis on actively diffusing the abilities of other magical girls, whether that be through force or by exploiting some external factor. Terrifying entities can be bested by frail cowards, yet no death ever feels particularly cheap. The show also avoids that pitfall of granting nonsensical skills during emotional scenes in order to justify a weaker combatant taking the win; bouts of anger or vulnerability reward characters with little more than crimson spurts. When characters do bite the dust, death is broached from a less hackneyed angle than you’d expect of a show that riffs on the magical girl aesthetic. The writers could have easily had the innocent main character mourn the loss of each death whilst cradling them as they utter a goodbye speech and she screams their name, but that’s not the case. What you get are genuine, unfiltered reactions from those left behind. These can take place long after their time of passing or, under exceptional circumstances, no one reacts. Even long after characters pass away, their influence –positive or negative – on the survivors remains. It’s difficult to delve further without blatant spoilers, but rest assured that these stylistic choices are infinitely more haunting than a pretentiously loaded goodbye speech could hope to be. The show’s writing also means that deceased characters can remain relevant to the current cast. For all the show’s exceptional qualities, there are some criticisms to be made. The main character is quite underdeveloped and underutilised to the point that audiences could well form the wrong conclusion about the entire show. This becomes doubly problematic because Magical Girl Raising Project doesn’t leave viewers with much blatantly apparent meaning to take home either, mainly since the light novel on which the show is based continues far beyond the scope of 12 episodes. This is more of an impactful introduction. Though it is by no means as openly poignant as aforementioned works like Madoka Magika, which methodically deconstructed the magical girl subgenre, its differences from the bulk of anime bloodbaths are readily apparent and should be noted by writers striving to shake up predictable arrangements. This one displays an utter mastery of toying with tropes. The show balances being logical and predictable yet is able to throw unthinkable curveballs that, in hindsight, make perfect sense and even serve greater purpose than shock value. Magical Girl Raising Project is rough around the edges in places and does not feature all the freshest set pieces or a prevailing underlying message, but its mishmash of influences is orchestrated to tell an emotionally engaging tale with exceptional twists. As more of a character study and entertaining take on popular works than the peak of its ilk, this one is still worth checking out.